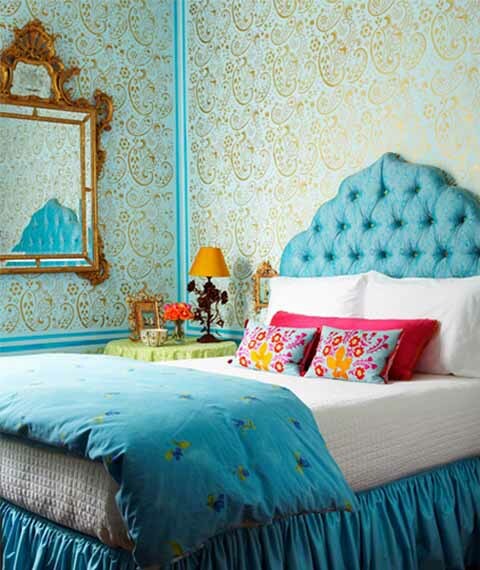 Bright interior decorating ideas from interior decorator Holly Dyment are cheerful and bold, perfect for spring home decorating. Dynamic interior design ideas that include bright room colors and floral designs in all rainbow color tones can inspire optimistic spring decorating ideas that can transform home interiors, adding joy and fresh look to all rooms. Toronto interior decorator Holly Dyment has been featured, over the course of her twenty five year career, on television, in design and decorating magazines and newspapers. The expert in residential interior design is widely acclaimed for her fearless use of various room colors, exploring unusual color combinations and bold interior decorating ideas. 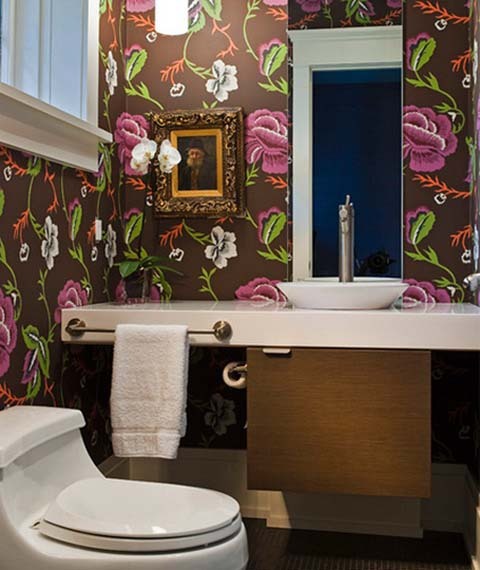 Bright walls, ceilings, floors, cabinetry, upholstery and decor accessories look gorgeous, celebrating her amazing skill of mixing patterns and textures in a single room, a series of rooms, or an entire apartment or house. Her fine art background and training in graphic design gave her the tools to design exclusive home interiors, moving beyond the use of conventional hues and old-school rules about which room colors look great together. The Canadian designer loves the dazzling color combinations, blending orange and purple, pink and red, brown and blue, or gray and lilac. Her interesting and modern interior design ideas and optimistic color combinations, that are excellent for spring decorating, feel inspiring, warm and unique. 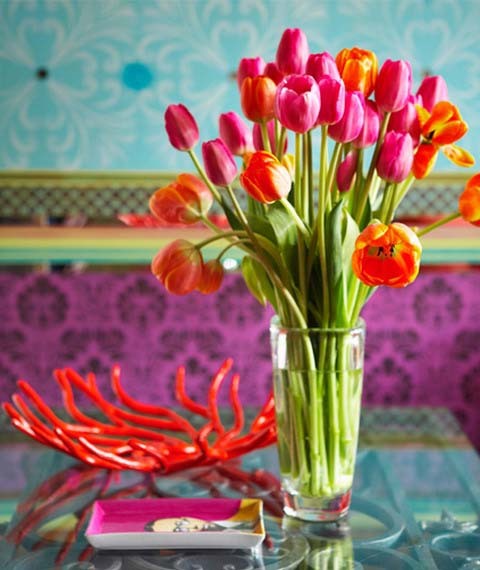 Bright and cheerful, unexpected and modern, interior decorating ideas from Holly Dyment, http://www.hollydymentdesign.com/ are comfortable and attractive. 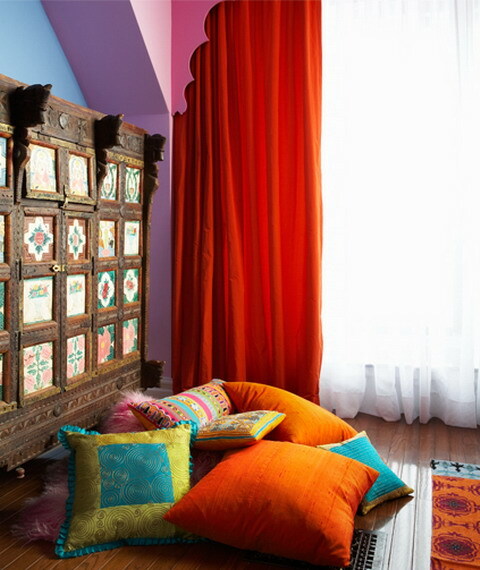 Pleasant and joyful patterns, textures and color combinations can be used as inspirations for spring home decorating. 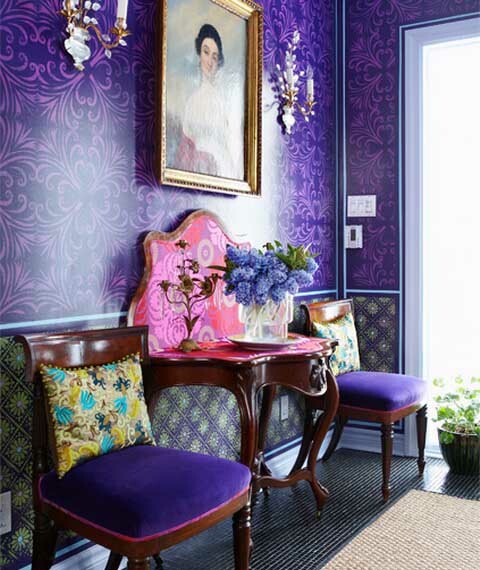 Her long time client says, – When Holly does a presentation (of paint colors, wallpapers designs, upholstery and cushion fabrics the designer chooses after the initial consultation), you are scared, at first. Everyone else you know has a beige couch in a beige living room, but then her choices start to grow on you and before you can say ‘vermilion,’ you’re loving your red walls in the living room and your purple velvet headboard, your orange painted glass backsplash in the kitchen and your powder-room wall-paper in the electric color of the sky.